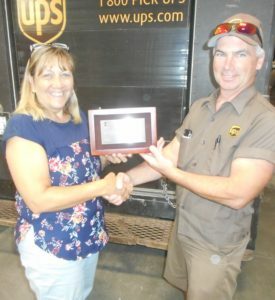 Greg Elwell, right, was recently lauded by UPS for 25 years of service. Elwell has worked out of Rockland, Presque Isle, Calais, Island Falls and has been in Houlton for the past 16 years. He has done the most runs of any driver in the Houlton office. He lives in Sherman with his wife Lynn, and they have two sons, Maverick and Marshal. 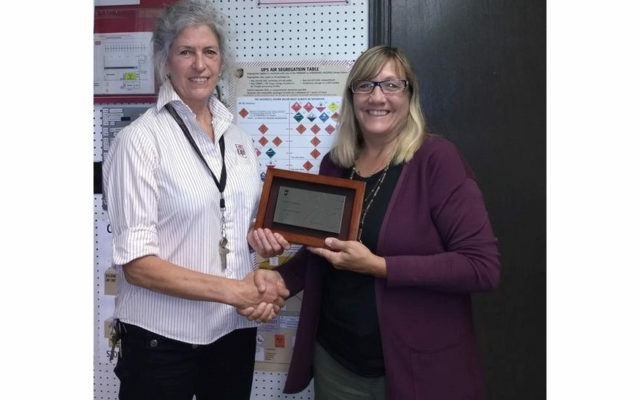 Presenting Elwell with a plaque for his efforts is Debbie Lunn, building supervisor.